The Father says today, you are on My information highway. There is knowledge in My kingdom and I am filling you to the full, with the knowledge of My Spirit. The downloads of heaven are coming quicker and quicker, says God. I am increasing the bandwidth of your understanding. The Spirit of knowledge and the Spirit of Understanding are opening up to you now. I am making you of quick understanding that you might run with the swift and take the prey, even from the mouth of the enemy. Even as you have sought the prophetic, I have given you a hearing ear to hear what I am saying to My people. Be faithful to hear, says God, and faithful to speak in this season. 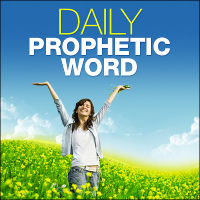 Know this, says the Father, that I have called you as one of my prophetic voices. I am the God that made man’s mouth and in you My words will be heard. In order to speak My words, I will cause you to know with confidence that you have heard Me. I am NOW breaking off of you the lies and the deceptions, those mind-binding spirits that have tried to discourage you from knowing that you know that you have heard from heaven. Every illegitimate authority over your life is being extracted. The stoppers are coming out of your ears and the blinders are coming off your eyes because you do have ears to hear, you do have eyes to see. Thank you Lord for your Wisdom. Amen! I receive this as confirmation to my decree Isaiah 50:4 trained tongue and ears! In Jesus name! AMEN, Thank you Lord Jesus …. Brilliant word ! I take hold of it. Confirms everything that’s happening with me at the moment thank you Lord!! Amen! Thank You Abba Father!